PIONEERING rockers Sugarmen have been a Music Manual favourite for a number of years. After a couple of reshuffles and a sound renovation, they've dropped their debut album Local Freaks full of gritty, indie hits - easy to singalong to but feisty enough to pack a punch. The Liverpool lads have been thriving off industrial practice rooms and the smoke of big cities for quite some time, Local Freaks is the product of this amalgamation. From The Libertines, The Clash and The Jam, their sound spins their influences on their head, creating an exciting alternative to these hard-hitters. Front-man Luke Fenlon said: “There’s a saying in Liverpool: ‘If your dad’s a butcher, you’re a butcher’, and I think it’s the same with music. “I was obsessed with that, it’s what got me into music,” he admits. They've supported the greats along the likes of The Who, Paul Weller and Blur, while keeping their hearts in Liverpool. Local Freaks is a jolly set of little ditties that entice that feeling of wanting to be part of something. Tracks bounce off each word, beat and chord such as Rabbit Hole and Life-Go-By. 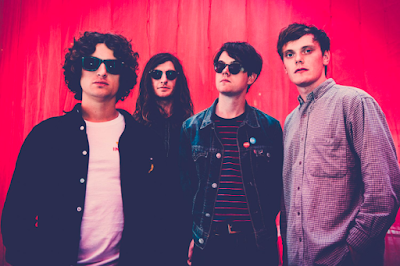 Its icy-cool demeanor feeds off the excitement of early Strokes and tell tales everyone relates to, with lead track Local Freaks is an ode to those kooky characters in Liverpool's music underground. There's a lot of reliving angsty teenage years while fighting the pressures of growing up. Guitarist Chay Henney said: "In songs, I always looked for stuff that would make me feel a bit more comfortable about myself, or my situation. "You can often listen to other people and know that they’ve been through that, or they’ve felt that, or other people think that. "I’d like people to be able to take that from the album - it’s about making people feel good about themselves."